We now have a new design for the birthday party supplies we carry. 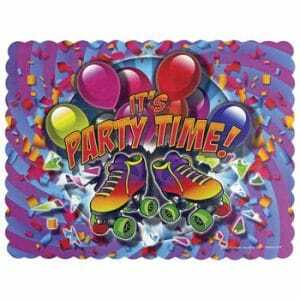 The new design is called “It’s Party Time” and it has a bold skate graphic with balloons and confetti. This is in addition to the existing Skate and Mirror Ball design that we’ve had for several years. Both designs come in plates (7” or 9”), napkins, cups, and placemats. You can also get a complete kit with 7” plates (good for cake), 9” plates (good for pizza), or both, plus the napkins, cups, and placemats. We also have a new protective gear package. The Zoom Pads from Roller Derby are designed for younger skaters and fit ages 5-10. 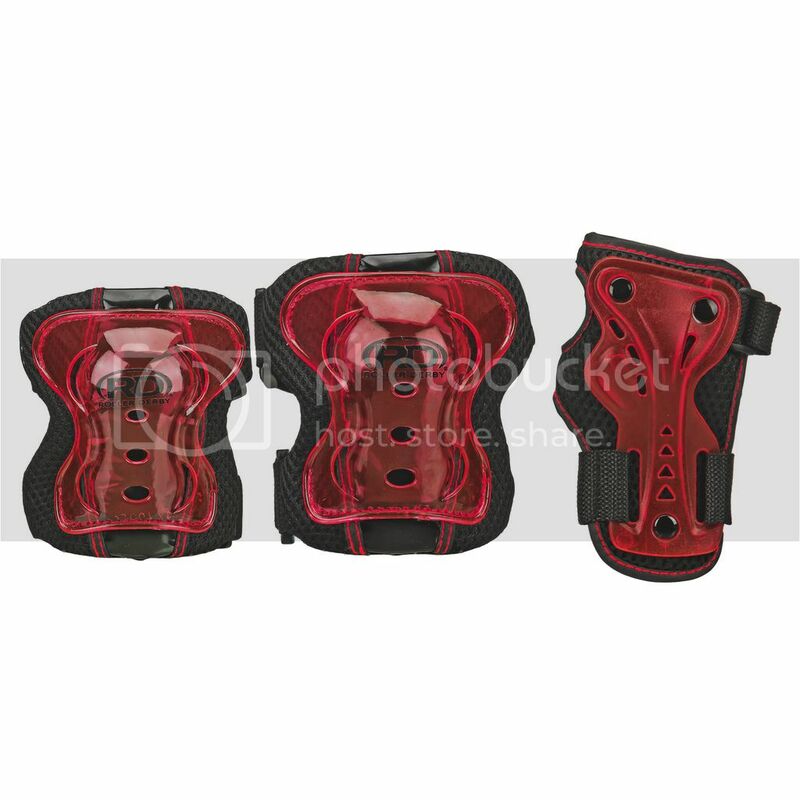 Each kit includes wrist, knee, and elbow pads. They come in black, red, blue, pink, purple, or teal. 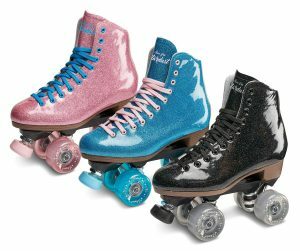 All colors of the Sure-Grip Stardust skates are now in stock. These skates have a vinyl boot with a glitter design that is pretty unique. The plates are the Sure-Grip Rock. The wheels are 62mm indoor/outdoor wheels with ABEC3 bearings. The blue and pink versions come in sizes 3-9. The black ones are sizes 4-11. Our annual tradeshow will be October 2 and 3, 2017 here at our Roanoke, VA warehouse. We’ll have more details soon, but mark your calendar now if you’d like to attend.